The holiday season is upon us, as we prepare to celebrate this joyous time of year why not plan a trip to the city that celebrates with loads of style and stay at the gorgeous St. Regis Hotel, New York. When booking your travel across WhataHotel!, guests can enjoy Exclusive Complimentary Perks that are truly fabulous! Discover why this iconic city has captured the hearts of so many, especially this time of year, and experience luxury and sophistication at this prestigious Fifth Avenue St. Regis Hotel. 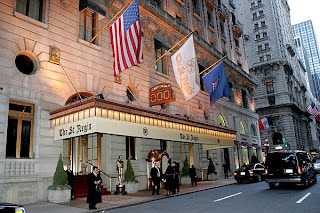 St. Regis Hotel, New York is situated in an ideal location, in the heart of midtown Manhattan, presenting guests with easy access to many of the famed landmarks and favorite tourist destinations. Originally built back in 1904, the Beaux Art classic landmark is a stunning legacy to the St. Regis Hotel and Resort Chain. 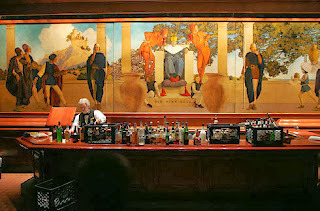 This hotel was the very first St. Regis, opened by the legendary Astor family, and today features the signature St. Regis twenty-four hour butler service, an on property florist and the historic King Cole Bar. The elegant rooms and suites feature custom made furnishings and spacious accommodations that are sure to bring guests calm and comfort. Located on the lower level is the exceptional hotel spa called Remede Spa. 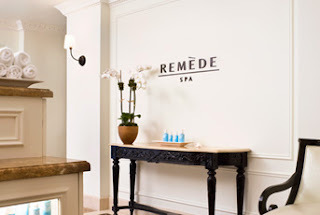 Here guests can escape to a sanctuary of complete relaxation and absolute indulgence. Also available to ensure guests happiness is the on-site fitness center, boutique shopping, childcare services and transportation options. This beautiful hotel has loads of charm and fabulous amenities, so it is no surprise that it has been rewarded with awards and accolades by many travel experts. When booking your stay at St. Regis Hotel, New York across WhataHotel!, guests can enjoy Exclusive Complimentary Perks that will knock your socks off. These perks include upgrades at time of booking, continental breakfast for two daily and afternoon tea for you and your travel companion in Astor Court once during your stay. So get ready to enjoy the decades long holiday traditions that are found everywhere you look in New York City. St. Regis is sure to add glamour, intrigue and most importantly style to your holiday trip to the beautiful Big Apple.